CPH recently released Teaching the Faith at Home: What Does This Mean? How Is This Done? by Dr. David Rueter, director of the DCE program at Concordia University Irvine and the Youth and Family Ministry Facilitator for the Pacific Northwest District of The Lutheran Church—Missouri Synod. In his new book, Dr. Rueter passionately challenges the status quo of confirmation practices and patterns in Protestant churches. 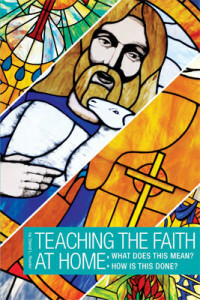 By digging into history and offering practical tips for the future, he outlines a vision for catechesis that’s lifelong. Check out our recent Q&A with Dr. Rueter on inspiration, parent-and-church partnership, and creating a “thinking climate” for the youth in our midst. You’re a husband, father, DCE, and college professor. What first sparked your intense curiosity on the topic of catechesis in the church and the need for reexamination? I have had a fascination with catechesis since my own time in confirmation classes. In my ministry as a DCE, I always found myself serving in congregations where I played a key role in the church’s confirmation programs. Through those years of ministry, I got to see a great number of young people make profoundly moving statements of faith. Sadly, there are also too many times that these same young people faded from participation in the life of the church following their confirmation. Entering my doctoral program, I wanted to know how the teaching of confirmation might be improved so that more youth would remain vitally involved in the church. Why is it essential for parents and church workers to think “beyond confirmation” and start viewing faith formation in terms of lifelong catechesis? Through my research, I confirmed what I think I knew all along—the single biggest predictor for a student’s connection to the church following confirmation is his or her connection prior to confirmation. As much as catechesis is about learning the content of the Christian faith, there is a need for parents, with the support of their church, to provide a place for the young to learn to live the faith. There is a need for parents to learn to be comfortable and well-equipped to engage in faith talk with their children from a young age. Further, parents need to be supported and encouraged to worship together as a family. Nothing teaches a child more about the faith than seeing that faith expressed in the lives of his or her parents. You propose in chapter 5 that “cultivating a thinking climate” at home and at church is critical. Explain what you mean by this outlook. The church needs to be a place where the young are able to ask difficult questions. A thinking climate is established in a home or church when a young person is comfortable expressing doubts or challenging questions to parents or church leaders. We really cannot afford to assume that the young people of the church don’t have doubts and questions. Further, it would be a mistake if pastors, DCEs, teachers, and especially parents give the impression that there are certain questions that are just not to be asked. Youth need to feel that they can trust their parents and church workers with their questions and doubts. Then we are able to guide them to discover biblical answers to their concerns. You are not alone! Start with where your child is at. Begin simply by intentionally modeling your faith in front of your child. Worship together. Talk to your child about what you do during worship and what it means. Pray together at meals and bedtime. Talk to your pastor, DCE, or your child’s teacher about devotional materials that you can use and learn how to use them. Most importantly, study God’s Word yourself. 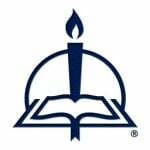 Use a reading plan or consider using a lay commentary like the People’s Bible Commentary series. Finally, know that your pastor and other church workers would love to support you. They would be glad to tackle the questions your kids come up with that you are not able to handle. Be honest when your kids stump you, and go together to the pastor for answers. In what ways does Teaching the Faith at Home fill a void for families in the church? How would all church members—even those who are not raising children of their own—benefit from this book? Research shows that children need parents who model their faith for them (see Christian Smith’s research, for example). What I am trying to do in this book is take technical findings from his and other studies and present a plan that both the church and the home can get behind together. We hear so much about losing the next generation, so instead let’s hear a bit about how we can teach the generations to come. The latter chapters of the book walk through Luther’s Small Catechism. For many, the catechism was well used in confirmation but not much since. I attempt to provide ideas that I hope will spark many more ways parents and other church members can express in everyday life the key truths of the Six Chief Parts in really tangible ways. Bottom line, I hope this book inspires church members, with or without children, to take seriously the task of passing the Christian faith along to following generations by way of seeing how doable this really is. Maybe if we all heard childhood faith questions more often, our own childlike inquiry would grow.